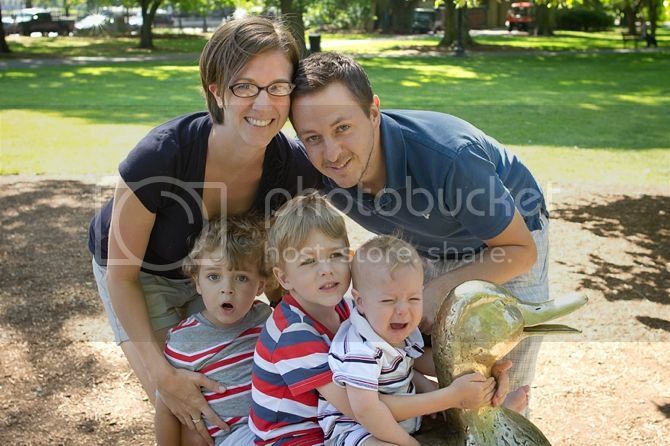 Well, we love these little ducks. 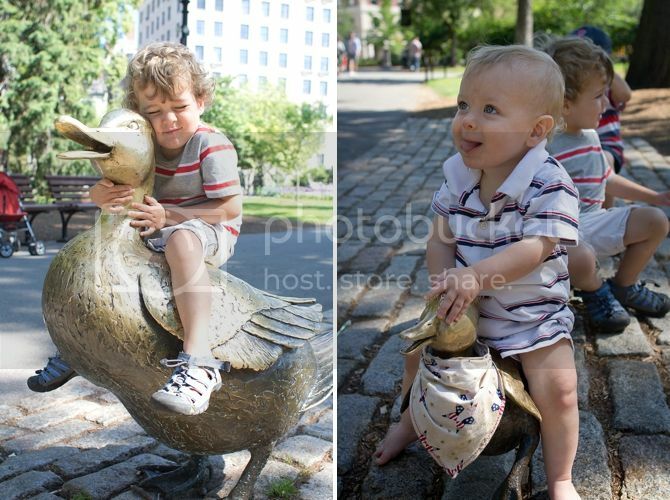 For the third summer, we've stuck our boys on these ducks and taken some cute pictures. 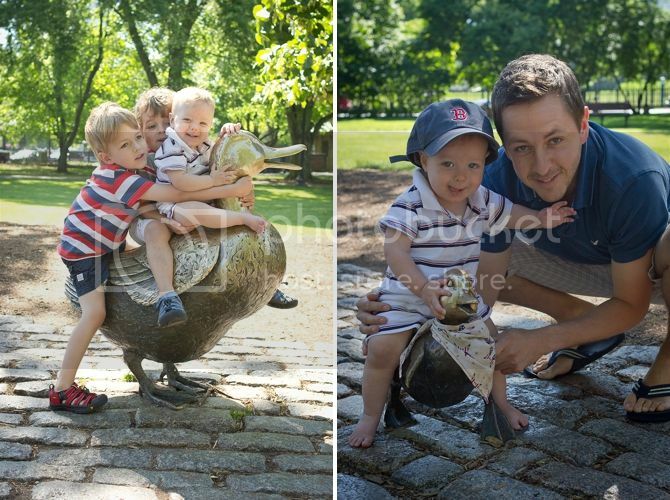 They are really fun to look back on because both of our Boston trips have been when Finley and Braden just turned one, so it was fun to see them all at the same age. This kid is just getting so big. 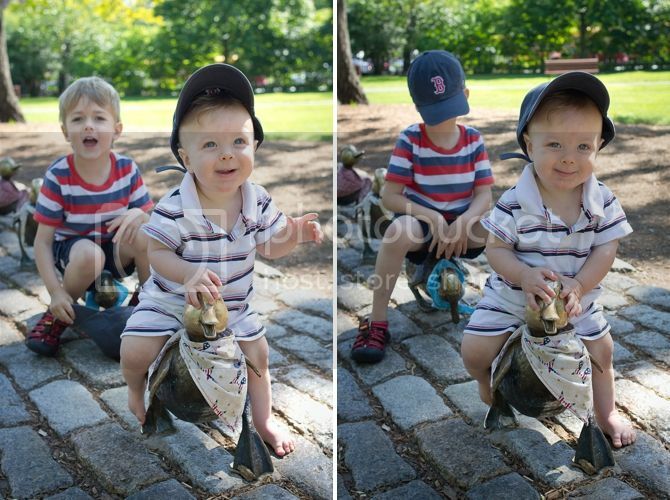 We got them new Boston hats and Finley was excited about his--Braden was not. Braden was excited about the ducks though! This is his sweet hugging face. He can just be the sweetest child when he's in the mood. 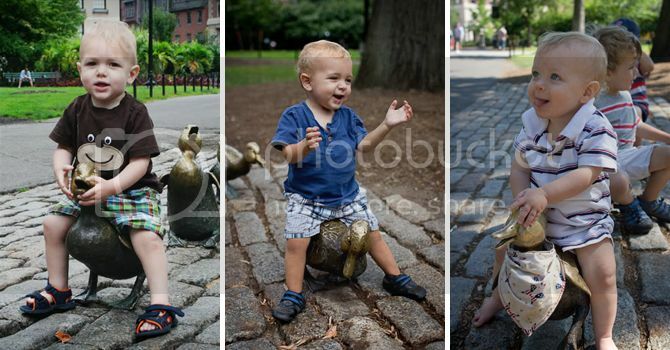 Keaton was just so pleased to sit on the duck all by himself. He was so giddy! I love this picture of the three of them on the Mama duck. They're just so happy. Keaton's face and the HTML fail tie as my favorite parts.